Store and transport barbering tools in style! 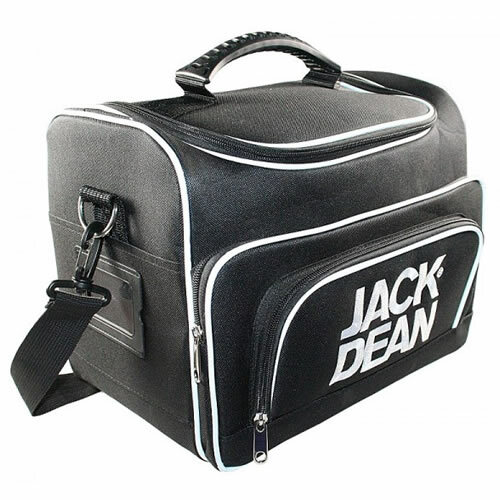 The Jack Dean Tool Bag is a high quality, stylish and practical way to store and transport all your essential barbering tools. It features a large main storage for holding larger tools like clippers, trimmers and hairbrushes. There are 2 inner removable sleeves which are designed to house scissors and combs. 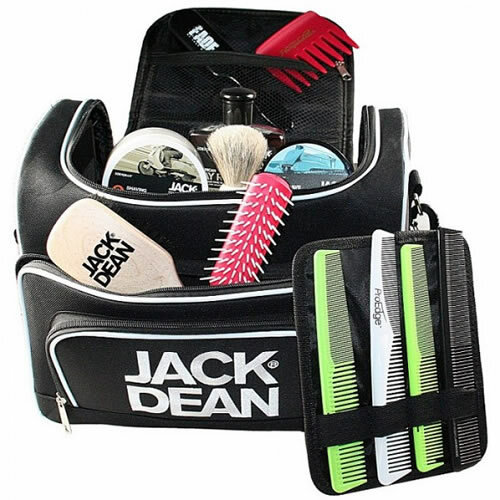 There are 2 sizeable front pockets and side compartments to accommodate other barbering accessories. The bag is 32-cm long, 24-cm wide and 25-cm tall. Accessories shown are for illustration purposes only. £35.99 (inc. VAT) Why no VAT? We're a trade wholesaler and quote our prices without VAT to help our VAT-registered customers understand the true cost of a purchase.